Hiring an attorney to protect your rights is an extremely important decision. First and foremost, you want an attorney you can trust. You thus want an attorney who has no record of public disciplinary action and a proven history of integrity. Many bar associations offer a referral service to help people find an attorney. Usually, any member of the organization can list with its referral service by simply paying a fee. You cannot know just from the referral that the attorney is qualified or ethical. 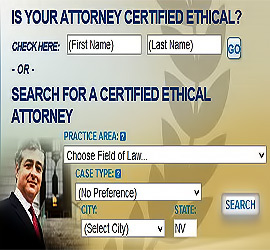 AttorneyGuide.com™ has very high standards for membership and specific criteria that attorneys must meet to be certified as an ethical attorney. Attorneys cannot buy an ethical rating, they must earn it by maintaining the highest standards of right and wrong. Those standards are reviewed and scrutinized every sixty (60) days to ensure the ongoing integrity of our attorneys. If any ethical violations are discovered, the attorney is immediately decertified and removed from our member listing. Attorney advertising can be very expensive. That is why honest and ethical attorneys with proven track records receive most of their new cases through “referrals” – commonly known as word-of-mouth advertising. They do not have to buy the largest ad in the telephone book or billboard to solicit new clients; their excellent reputation for honesty and integrity, and favorable outcomes, speak for them. Conversely, other attorneys may buy the largest ad they can afford to make their practice appear larger and better than they really are. Indeed, our research has disclosed a correlation between the attorneys with the largest advertisements and those attorneys with the most problematic disciplinary issues. Every year, many attorneys are disciplined, suspended or disbarred for ethical violations. Those violations can be minor – such as failing to return clients’ telephone calls, or very serious – like misappropriating client funds. How can you avoid hiring these unethical attorneys? AttorneyGuide.com™ is the first and only directory of Certified Ethical™ attorneys. 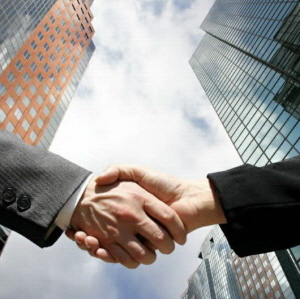 We protect your rights by referring you to only reputable attorneys who are certified as ethical. In the event that any dispute arises between you and your attorney, most states offer dispute resolution services; which may be a benefit to you in the event of a fee dispute. If you feel that your attorney has acted in an unethical manner, each state has a grievance procedure where you can file a complaint against your attorney and have your complaint investigated. If your complaint is substantiated and your attorney is reprimanded and/or disciplined by the state bar association, AttorneyGuide will immediately revoke that attorney’s ethical certification and remove that attorney from our member listing.